JerryBuilt Homegrown Burgers recently chose Three Brothers Bakery’s scratch, egg based buns to pair with their 100% vegetarian fed all beef burgers and 100% beef hotdogs. “The bun is integral to the burger’s or hotdog’s success – it completes the burger experience,” said Brooksy Smith, a co-founder of JerryBuilt Homegrown Burgers. 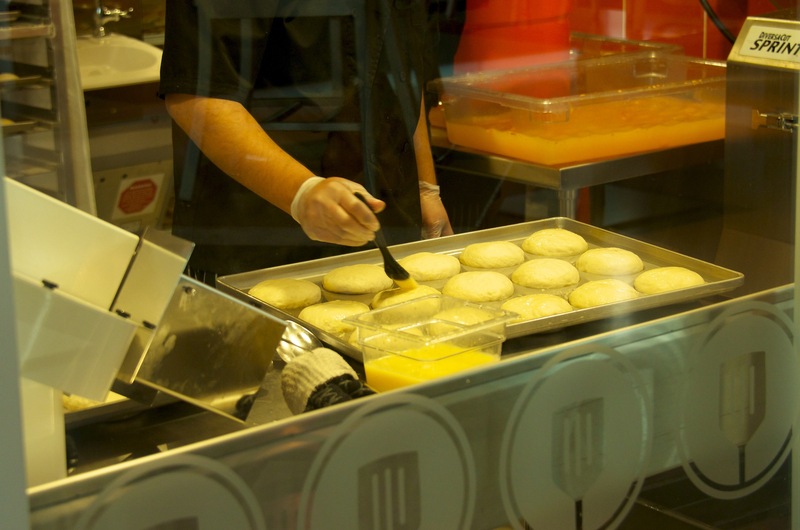 The bun is integral to the burger’s or hotdog’s success – it completes the burger experience, said Brooksy Smith a co-founder of JerryBuilt Homegrown Burgers. JerryBuilt Homegrown Burgers recently chose Three Brothers Bakery’s scratch, egg based buns to pair with their 100% vegetarian fed all beef burgers and 100% beef hotdogs. “The bun is integral to the burger’s or hotdog’s success – it completes the burger experience,” said Brooksy Smith a co-founder of JerryBuilt Homegrown Burgers. Smith also went on to say, “not only did Three Brothers formulate the bun for us, but Bobby Jucker, a co-owner and Chef, actually came on site and taught us how to bake off the buns until we got it right.” The buns are delivered to JerryBuilt as “dough balls” and the team at the restaurant forms, proofs and bakes the buns, so they are freshly baked for their customers. Additionally, JerryBuilt chose to offer “Gingerbulls” as one of their dessert options after taking one bite of Three Brothers Bakery’s gingerbread men. “Bobby actually handmade cutters to match our logo and provides the cutout dough to us. We then bake them off in our restaurant, so again the customer is provided with fresh baked Gingerbull cookies” said Smith. “Working with Brooksy Smith, Jerry and Chad Glauser, has been a true learning experience for us, for they are veterans of the restaurant industry,” said Jucker. Three Brothers Bakery has a long and fascinating history, with its origins in Chrzanow, Poland dating back to 1825. Later, World War II changed the business and lives of the Juckers forever, when members of the family were imprisoned in Nazi concentration camps. The original Three Brothers Bakery at 4036 S. Braeswood Blvd and owned by Bobby, Janice and Estelle Jucker, continues to operate a full-service, scratch bakery making savory Eastern European style breads and pastries, cookies, a full line of specialty dessert cakes and pies, as well as custom birthday, special occasion, wedding and grooms’ cakes with many products dairy-free - perfect for those who are lactose intolerant. The Three Brothers Bakery pecan pie was named “…the best mail order pecan pie America has to offer…” by Country Living magazine and most recently Bobby Jucker competed in Food Network Challenge, seen on Food Network’s Outrageous Food – highlighting their Pumpecapple Piecake, named Pastry Chef of the Year at The Houston Culinary Awards and awarded in January The Knot Best of Weddings 2012 Pick for the 3rd year in a row. 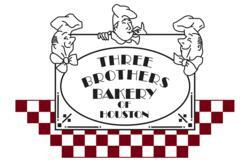 Three Brothers Bakery is a certified Woman Owned Business through WBENC and a State of Texas HUB. Visit http://www.3brothersbakery.com for more information. JerryBuilt Homegrown Burgers offers burgers, fries and shakes made with only the best ingredients — organic when possible, local when available and always fresh. Committed to sustainability, JerryBuilt incorporates seasonal ingredients sourced from local and regional farmers during each harvest. From daily baked buns and freshly-ground brisket and chuck to organic crinkle-cut fries and freshly squeezed lemonade, each of JerryBuilt’s menu items has been deliberately selected to delight customers. JerryBuilt’s first location opened February 2012 in the Greater Houston Area. 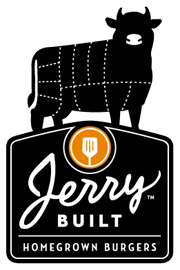 Visit http://www.jerrybuiltburgers.com for more information on JerryBuilt’s philosophy, offerings and locations.